Published exclusively as an ebook, a long short story from thriller master Lee Child about the teenage Reacher, now also available in No Middle Name: the Collected Jack Reacher Stories. July 1977. 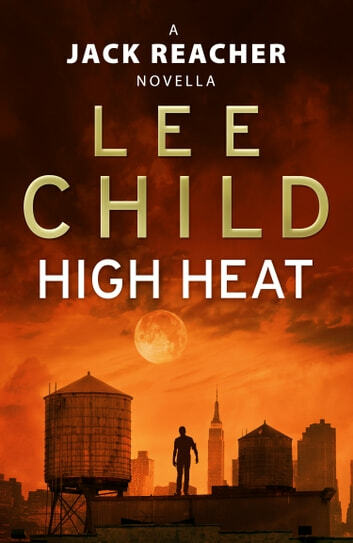 Jack Reacher is almost seventeen, and he stops in New York on his way from South Korea to visit his brother at West Point. The summer heat is suffocating, fires are raging in the Bronx, the city is bankrupt, and the mad gunman known as Son of Sam is still on the loose. Reacher meets a woman with a problem, and agrees to help her . . . and then the power grid fails and the lights go out, plunging the lawless city that never sleeps into chaos. What does a visiting teenager do in the dark? If that visiting teenager is Jack Reacher, the answer is: plenty. Don’t miss the exciting preview of Lee Child’s latest Jack Reacher novel, Never Go Back! An lnteresting story of Jack Reachers early beginnings as a teenage tough guy. I am not a particularly big fan of Tom Cruises believing there to be more suitable actors to assume the role of Jack Reacher on the “Big Screen” but that is just a personal opinion of mine! That meaning the image I conjure of the J R character in the books is, I believe, diminished by the one in the films which is a pity. I will be reading more books in the Jack Reacher series and probably others by the talented Lee Child! Excellent book. Wish it was 5 times longer. Another excellent, fast hitting, fast paced book. I'm gonna have to go back and start it again!! Having just finished reading the latest Jack Reacher novel I was keen for more stories with the character and found this to be a very satisfying read. The context of New York City, the Seventies, the famous power blackout and a young Reacher proved to be a enjoyable scenario which I'd happily recommend to other fans of these stories. It was a great read.good insight on his younger years. Will probably be reading it again in a few months and find more to interest me,seems even as a young,pre soldier years,he was lucky with the ladies.